The finalization and adoption of draft texts on arbitration, security rights and cross-border insolvency will be key topics for consideration by the United Nations Commission on International Trade Law (UNCITRAL), as it meets in Vienna, for its 46th session from 8-26 July 2013. The Commission is expected to finalize the UNCITRAL rules on transparency in treaty-based investor-State arbitration (the “Transparency Rules”). The Transparency Rules will provide a procedural framework for making available to the public information on investment arbitration cases. They are designed to address both the public interest in investment arbitration and the disputing parties’ interest in a fair and efficient resolution of their dispute. The Commission will also consider an amendment to the UNCITRAL Arbitration Rules in order to articulate a link with the Transparency Rules. The Commission will consider whether an instrument, such as a recommendation or a convention, should be prepared, in relation to the application of the Transparency Rules to disputes arising under existing investment treaties. The Commission is also expected to consider the progress on the draft UNCITRAL Guide and web platform on the 1958 Convention on the Recognition and Enforcement of Foreign Arbitral Awards (“New York Convention”). The Guide and web platform aim to enhance the uniform interpretation and effective implementation of the New York Convention among Contracting States. The Commission is also expected to finalize and adopt the UNCITRAL Guide on the Implementation of a Security Rights Registry (the “Registry Guide”). The Registry Guide will provide commentary and recommendations on issues relating to the establishment and operation of a security rights registry, which are normally addressed in administrative regulations. The Registry Guide will supplement the UNCITRAL Legislative Guide on Secured Transactions (the “Secured Transactions Guide”), which provides guidance to States with respect to issues that should be addressed in a modern secured transactions law. Together, the Secured Transactions Guide and the Registry Guide will provide comprehensive guidance to States with respect to legal and practical issues that need to be addressed to implement a modern secured transactions law, which is likely to assist States in increasing access to affordable credit for businesses and individuals and thus promote economic growth, sustainable development, rule of law and combating poverty. In addition, the Commission is expected to finalize three texts on insolvency law. The first is a set of revisions to the Guide to Enactment of the UNCITRAL Model Law on Cross-Border Insolvency. The revisions, which will be known as the Guide to Enactment and Interpretation of the UNCITRAL Model Law on Cross-Border Insolvency, include additional information and direction on how the term “centre of main interests” might be interpreted, as well as further clarification on what constitutes a “foreign proceeding” for the purposes of article 2(a) as it relates to the pre-conditions for recognition of foreign insolvency proceedings under the Model Law. The Commission will also consider legislative recommendations on directors’ obligations in the period approaching insolvency, which are expected to be adopted as part four of the UNCITRAL Legislative Guide on Insolvency Law. The recommendations, which are designed to encourage early action to address financial difficulty, focus on obligations that might be imposed upon those responsible for making decisions regarding the management of an enterprise when that enterprise faces imminent insolvency, or insolvency becomes unavoidable. Lastly, the Commission will note the updating of the 2011 UNCITRAL Model Law on Cross-Border Insolvency: The Judicial Perspective. This text offers judges general guidance on issues relevant to deciding applications under the Model Law for recognition of and assistance in foreign insolvency proceedings, based on the intentions of those who crafted the Model Law and the experiences of its use in practice. The Commission is also expected to review issues related to public procurement and progress made in the areas of online dispute resolution, electronic commerce and technical assistance to law reform. In addition, the Commission will discuss priorities and the organization of its future work. It will consider a strategic direction while evaluating planned and possible future work in the areas of arbitration and conciliation; commercial fraud; electronic commerce; insolvency law; international contract law; microfinance; online dispute resolution; public procurement and infrastructure development, including public-private partnerships; and security interests. It will need to consider which of these areas of work will be possible, taking into account currently available resources. The coordination of UNCITRAL’s work with that of other international organizations active in the field of international trade law, its role in promoting the rule of law and the activities undertaken by the UNCITRAL Regional Centre for Asia and the Pacific are also scheduled for discussion. The Commission is composed of 60 Member States elected by the United Nations General Assembly. Membership is structured so as to be representative of the world’s geographic regions and its principal economic and legal systems. Members of the Commission are elected for terms of six years, the terms of half the members expiring every three years. 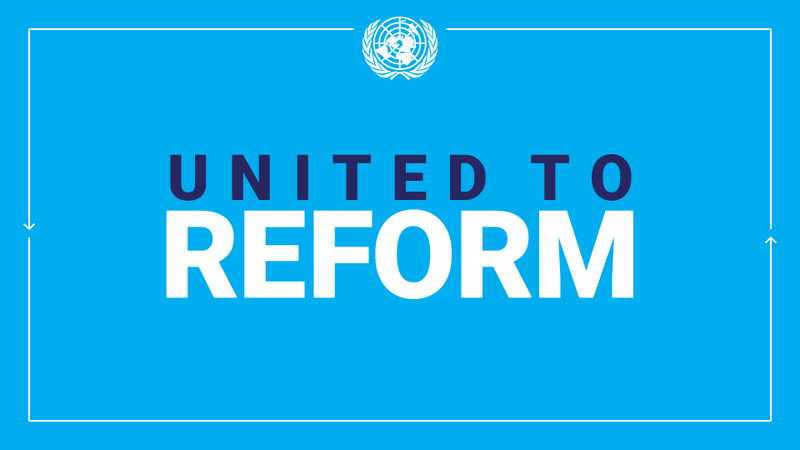 From 8 July 2013, UNCITRAL will be composed of the following 60 member States: Algeria, Argentina, Armenia, Australia, Austria, Belarus, Botswana, Brazil, Bulgaria, Cameroon, Canada, China, Colombia, Côte d’Ivoire, Croatia, Denmark, Ecuador, El Salvador, Fiji, France, Gabon, Georgia, Germany, Greece, Honduras, Hungary, India, Indonesia, Iran, Israel, Italy, Japan, Jordan, Kenya, Kuwait, Liberia, Malaysia, Mauritania, Mauritius, Mexico, Namibia, Nigeria, Pakistan, Panama, Paraguay, Philippines, Republic of Korea, Russian Federation, Sierra Leone, Singapore, Spain, Switzerland, Thailand, Turkey, Uganda, Ukraine, United Kingdom, United States, Venezuela and Zambia. The core legal body of the United Nations system in the field of international trade law. A legal body with universal membership specializing in commercial law reform worldwide for over 40 years. UNCITRAL’s business is the modernization and harmonization of rules on international business. This entry was posted in News and tagged arbitration, International Law, International Trade Law, UNCITRAL on July 3, 2013 by United Nations.